Sadly, it’s time to take a moment and remember those famous faces who have contributed something meaningful to our world in one way or another. It’s time to salute those who have gone before us and left an indelible mark on the culture around us. It’s time to remember the celebrities — in various disciplines — who have died in 2018. There’s no doubt 2018 has already taken away some of our favorite celebrities (and likely will take more before it’s up). We lost major artists, musicians, entrepreneurs, sports figures and even an astronaut. It’s never fair when someone we admire dies, but it’s always worth taking a moment to remember them for the life and legacy they leave behind. And so, let’s take a look at the famous folks we’ve lost thus far in 2018. We can’t promise you’ll be happy clicking through, but there may be fond memories or feelings stirred up and that’s what’s important. 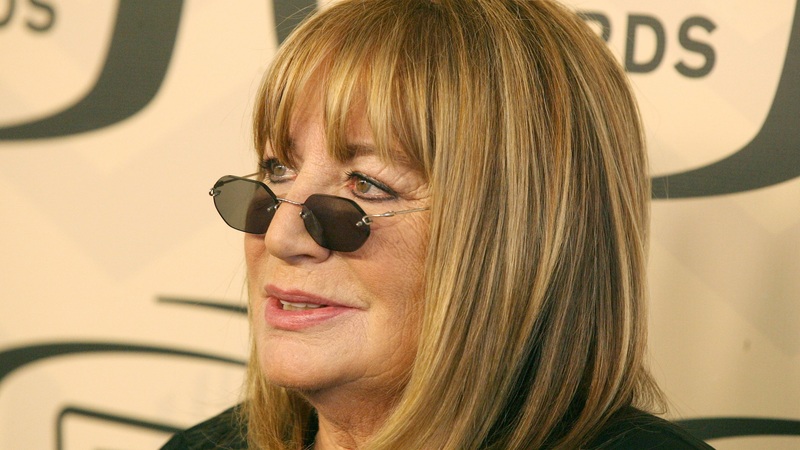 On Dec. 18, TMZ reported that Penny Marshall had died of complications from diabetes at the age of 75. Marshall was a celebrated actor, comedian and director, perhaps best known for starring on the iconic sitcom Laverne & Shirley. Marshall went behind the camera to direct film favorites like Big, A League of Their Own and Awakenings. “Our family is heartbroken over the passing of Penny Marshall. Penny was a tomboy who loved sports, doing puzzles of any kind, drinking milk and Pepsi together and being with her family,” her family said in a statement. On Dec. 13, Variety reported that actor and director Sondra Locke had died at age 74 from breast and bone cancer. Locke was an Oscar-nominated performer, earning a nod for her performance in The Heart Is a Lonely Hunter in 1967, and directed three feature-length films (Ratboy, Impulse and Trading Favors) and a TV movie, Death in Small Doses. Image: Bryan Steffy/Getty Images for Variety. 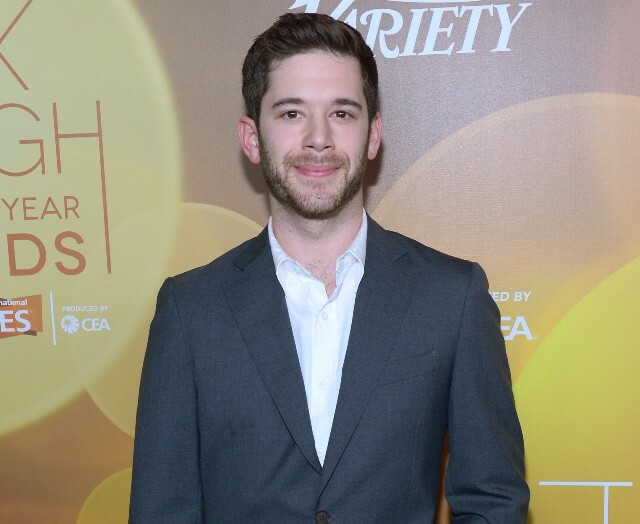 On Dec. 16, Variety reported that HQ Trivia and Vine cofounder Colin Kroll was found dead in his apartment of an apparent drug overdose. He was 34. Image: Brooks Kraft LLC/Corbis via Getty Images. On Dec. 1, the Washington Post was among the numerous outlets reporting that George H.W. Bush, former president of the United States, had died at age 94 on Nov. 30. 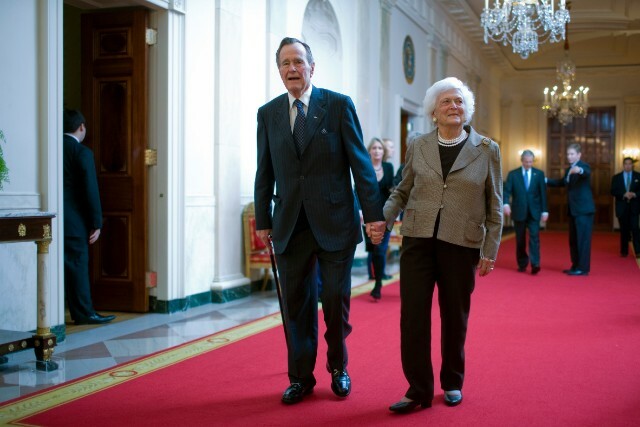 The Bush patriarch died seven months after Barabara Bush, his wife of 73 years. Image: Vittorio Zunino Celotto/Getty Images. The Guardian reported on Nov. 26 that Italian director Bernardo Bertolucci died at age 77. 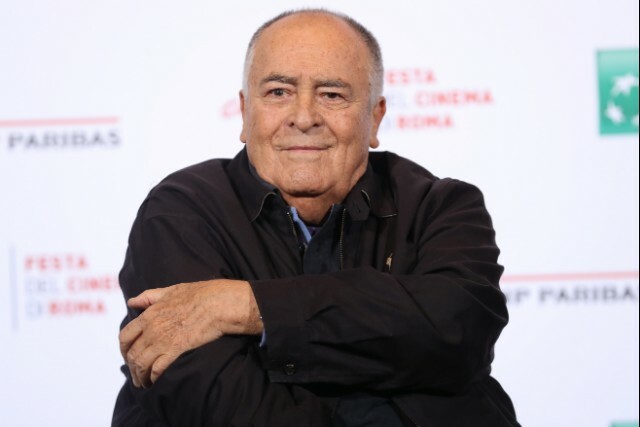 Bertolucci, who directed films such as Last Tango in Paris, 1900 and The Dreamers, died after a short battle with cancer, as his publicist confirmed to The Guardian. 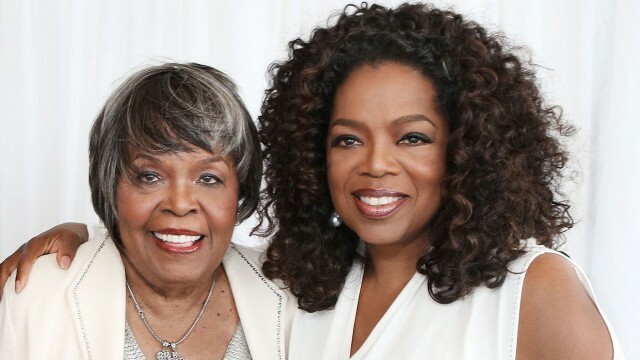 Oprah Winfrey’s mother, Vernita Lee, died on Thanksgiving Day at age 83, according to Entertainment Tonight. Lee died in her home in Milwaukee, Wisconsin, ET confirmed, but a cause of death is still unknown. She is survived by Winfrey, daughter Patricia Amanda Faye Lee and four grandchildren. 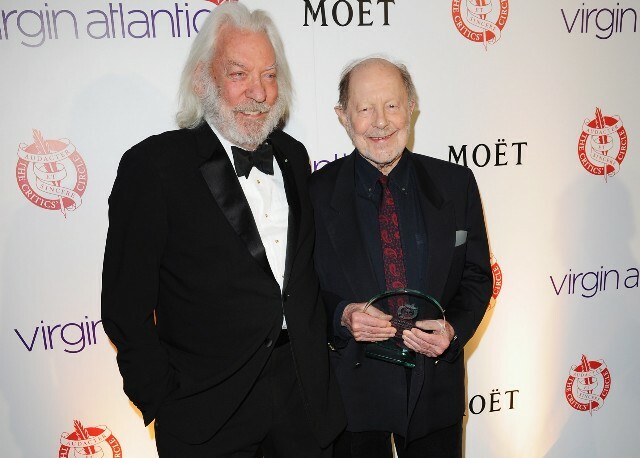 Prominent director Nicolas Roeg, best known for films like Don’t Look Now (starring Donald Sutherland) and The Man Who Fell to Earth (starring David Bowie) in the 1970s, died at age 90, according to Variety’s report from Nov. 24. 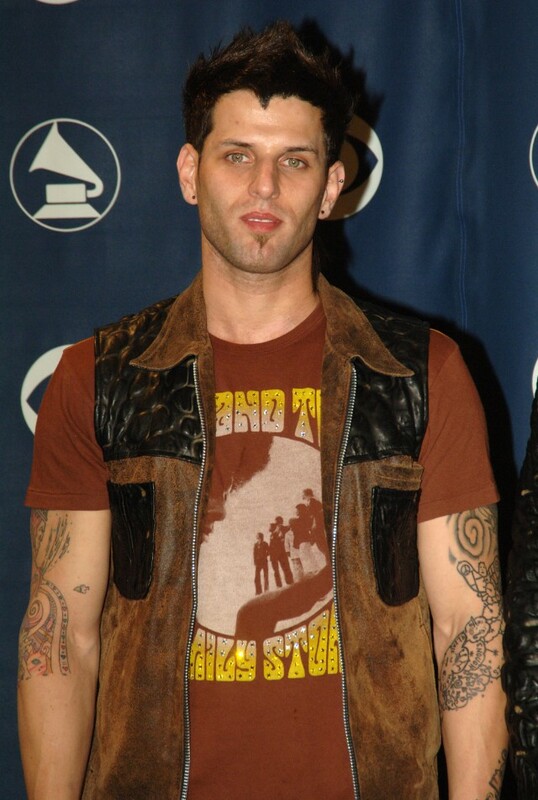 On Nov. 21, TMZ was the first to report that Devin Lima, one-third of the ’90s boy band LFO, had died of stage 4 cancer. Actress and model Kim Porter was found unresponsive in her home on Nov. 15 and was pronounced dead shortly afterward, according to CNN. She was 47. 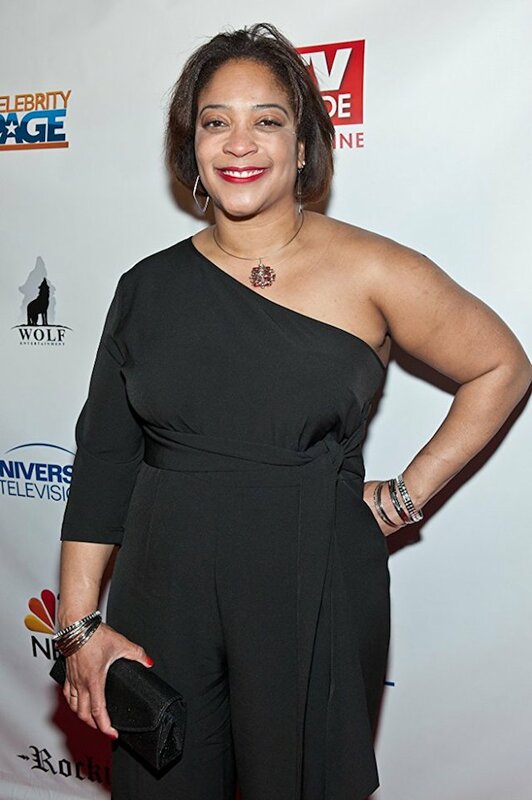 Porter appeared in various films, including The Brothers, and on TV’s Wicked Wicked Games; however, she may be best known as Sean Combs’ ex-girlfriend. The pair dated intermittently from 1994 to 2007. Porter leaves behind four children: twins Jessie James and D’Lila, 11, son Christian, 20, and Quincy, 27. 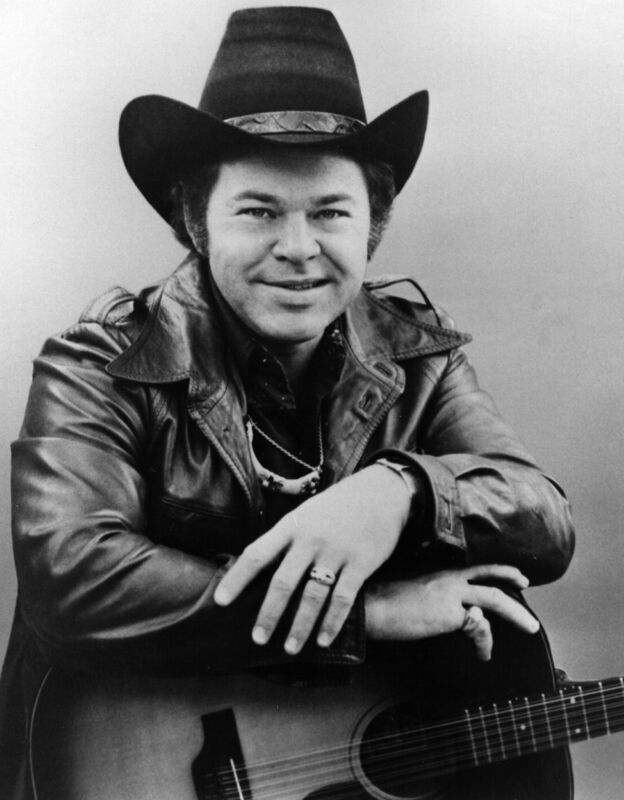 Roy Clark, country musician and host of the long-running TV series Hee-Haw, died on Nov. 15. He was 85. According to CNN, Clark died of complications from pneumonia at his home in Tulsa, Oklahoma. Image: Denise Truscello/Getty Images for Madame Tussauds Las Vegas. 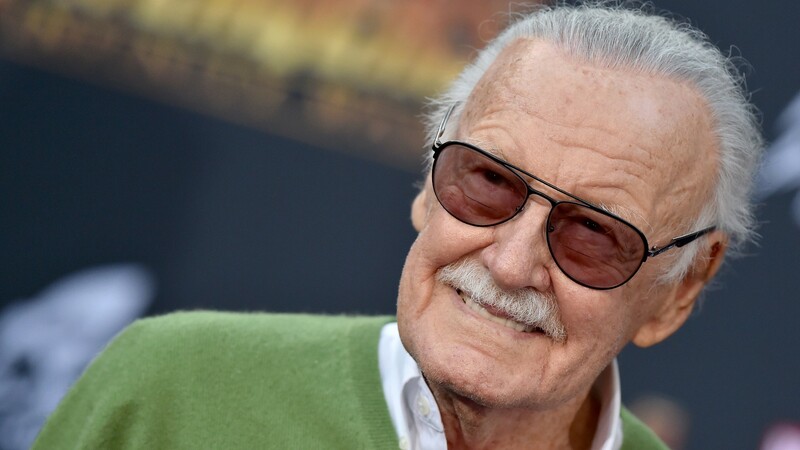 Marvel comics legend Stan Lee died Nov. 12 at age 95, according to a report from Variety. The outlet reported that Lee was rushed to Cedars-Sinai in Los Angeles on Nov. 11 for a medical emergency and was declared dead shortly thereafter. 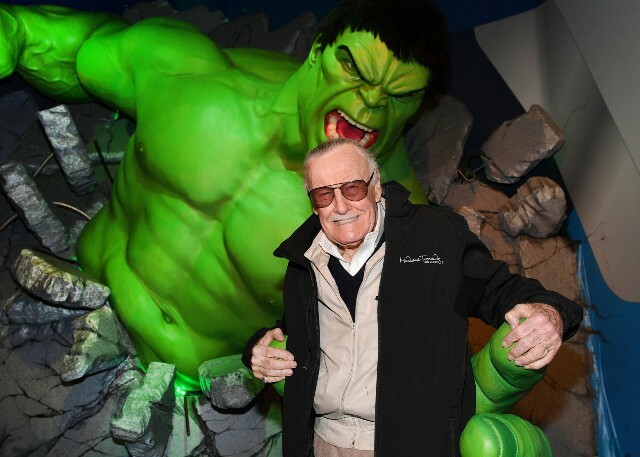 Lee was one of the masterminds behind such iconic comics titles as Spider-Man, Fantastic Four and X-Men. As Marvel films made their way to movie screens over the last few decades, so did Lee, making cameos in nearly every Marvel film that’s been made. 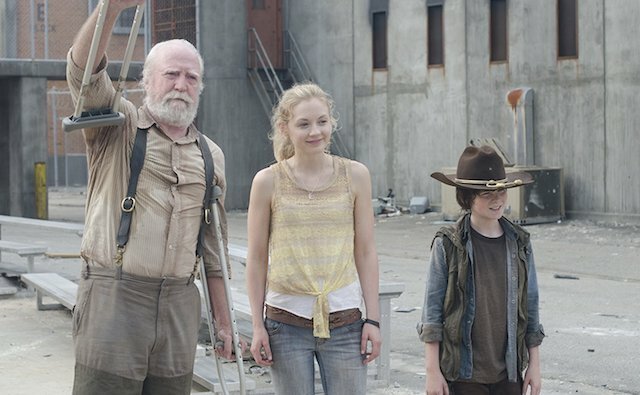 In October, The Hollywood Reporter confirmed that famed character actor Scott Wilson, whose credits included The Walking Dead, Bosch, Netflix’s The OA and 1967’s In the Heat of the Night, had died of cancer at age 76. 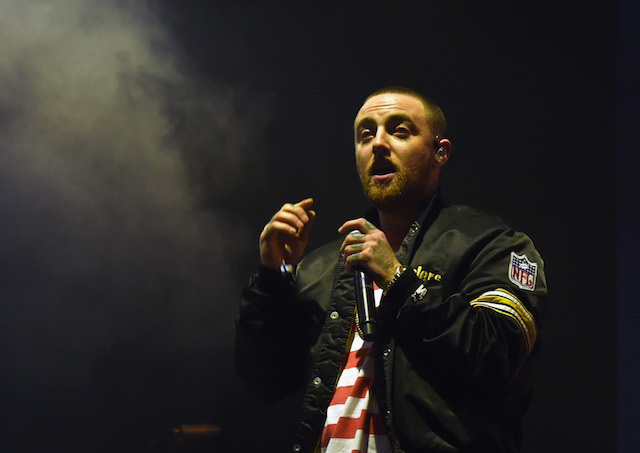 In what may be one of the most heartbreaking and shocking deaths of 2018, 26-year-old rapper Mac Miller reportedly overdosed and died in early September. TMZ reported that the young artist was found in his home in the San Fernando Valley in Califonia on the afternoon of Sept. 7. No statement was released at the time his death was reported. Image: Tom Copi/Michael Ochs Archives/Getty Images. 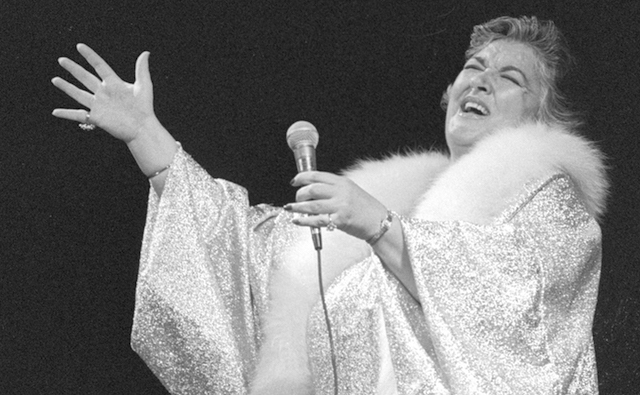 The New York Times confirmed that in August, renowned jazz singer Morgana King — who also appeared in films like The Godfather — had died at age 79. Image: Timm Schamberger/Anadolu Agency/Getty Images. 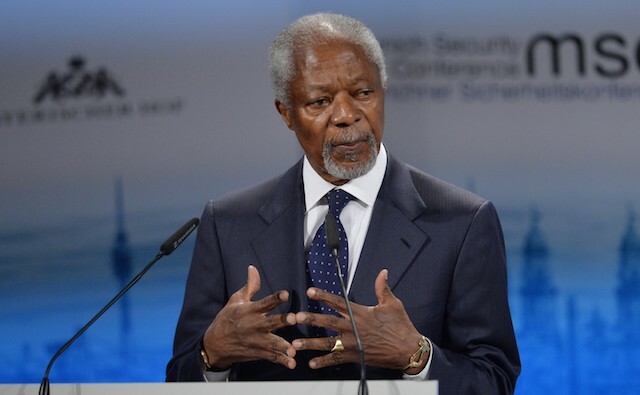 In August, UK news outlet The Guardian reported that former United Nations secretary general Kofi Annan had died at the age of 80 from a short, undisclosed illness. 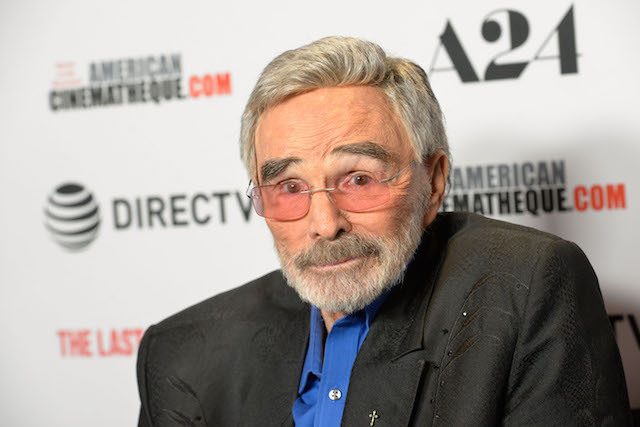 On Sept. 6, The Hollywood Reporter confirmed that legendary actor Burt Reynolds had died at age 86 (the cause of his death was not immediately reported). Reynolds built up an impressive résumé from the 1970s onward, appearing in wildly successful films like Smokey and the Bandit, The Longest Yard, Deliverance and Boogie Nights. 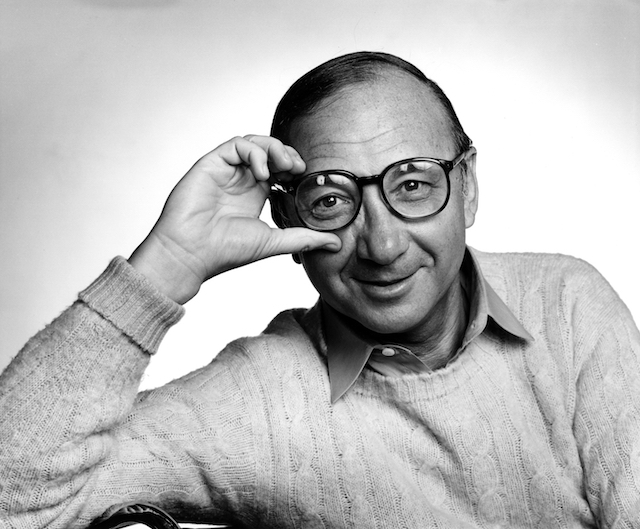 On Aug. 26, The Hollywood Reporter announced that beloved, prolific 20th-century playwright Neil Simon had died at age 91. 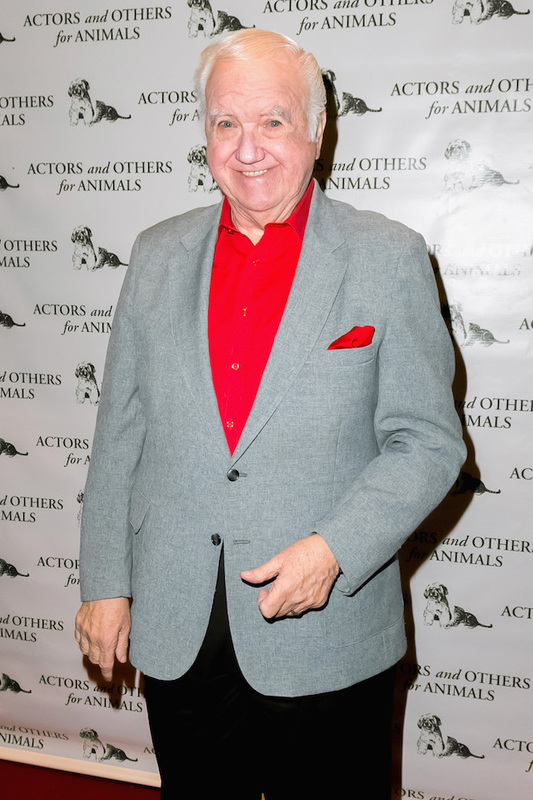 Simon, who was the man behind works like The Odd Couple and Barefoot in the Park, died of complications from pneumonia at New York-Presbyterian Hospital in Manhattan, according to his publicist. Image: Michael Ochs Archives/Getty Images. 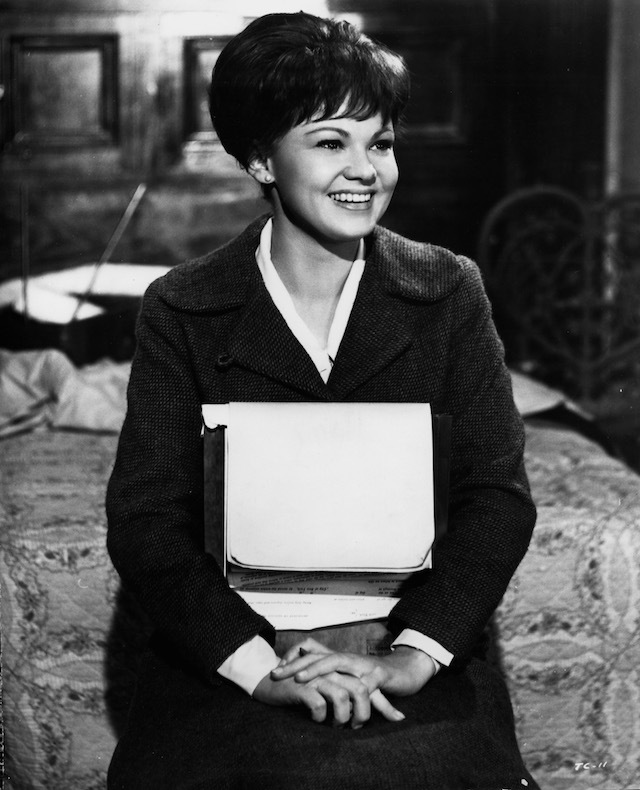 On Aug. 21, People magazine reported that actor Barbara Harris, who starred in classic films like Robert Altman’s Nashville and Freaky Friday, had died at age 83. She reportedly died of lung cancer at her home in Scottsdale, Arizona. Image: James Kriegsmann/Michael Ochs Archives/Getty Images. 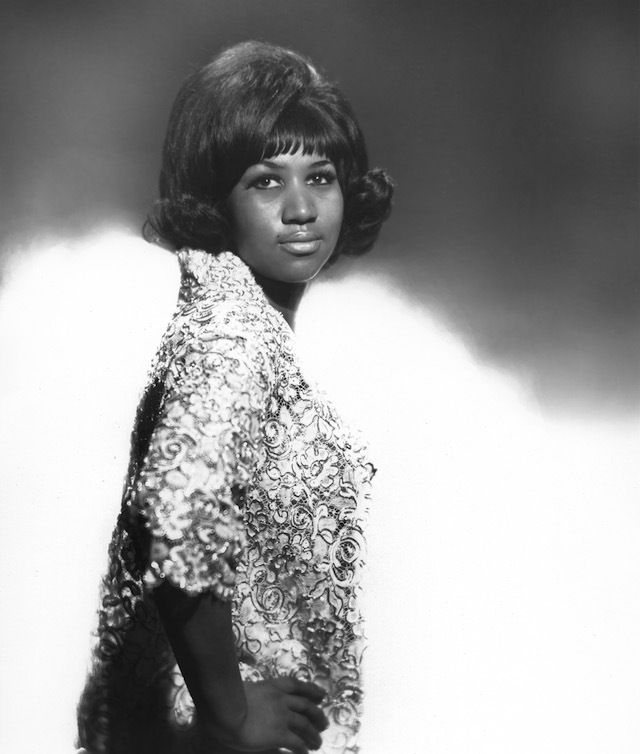 On Aug. 16, AP News reported that Aretha Franklin (the “Queen of Soul”) had died at age 76, surrounded by loved ones in her Detroit home. The legendary singer had long had advanced pancreatic cancer. 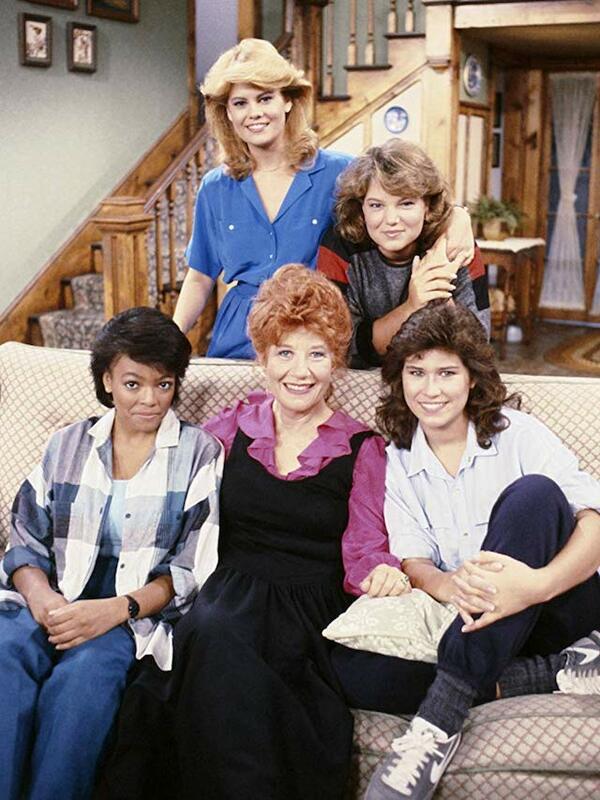 On Aug. 6, People magazine reported that iconic TV actor Charlotte Rae, best known for her performances on hit ’80s sitcoms The Facts of Life and Diff’rent Strokes, had died at age 92. In 2017, Rae revealed that she had been diagnosed with bone cancer, just seven years after she’d been diagnosed with pancreatic cancer. 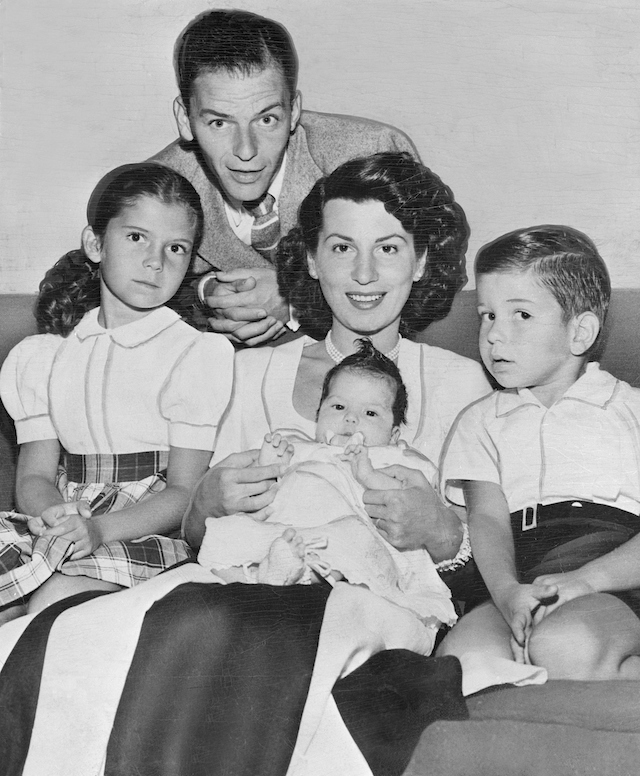 In late July, The Hollywood Reporter announced that Frank Sinatra’s first wife, Nancy Sinatra Sr., had died at age 101. Image: Michael Bezjian/Getty Images for The Los Angeles Times Food Bowl. 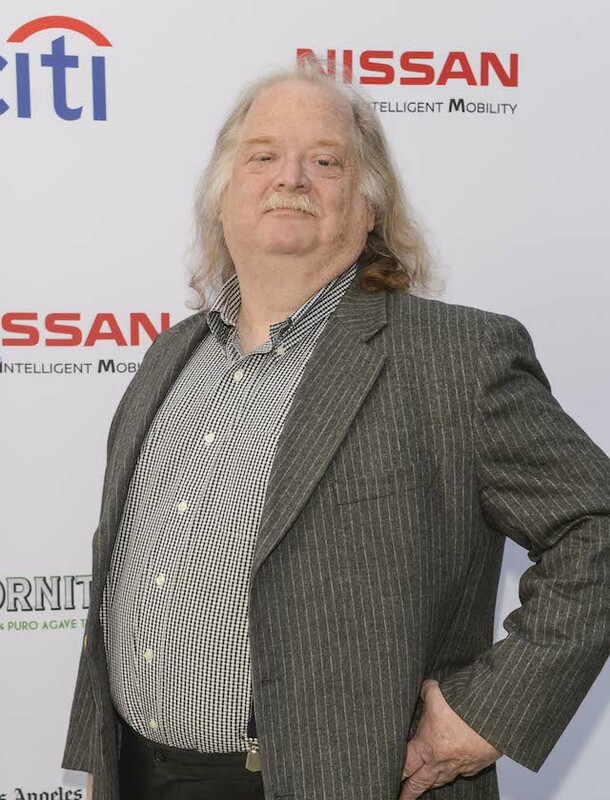 Pulitzer Prize-winning L.A. Times food critic Jonathan Gold died unexpectedly at age 57 in late July, according to The Hollywood Reporter. On July 22, Deadline reported that actor Elmarie Wendel — perhaps best known for her role on 3rdRock From the Sun — had died at age 89. 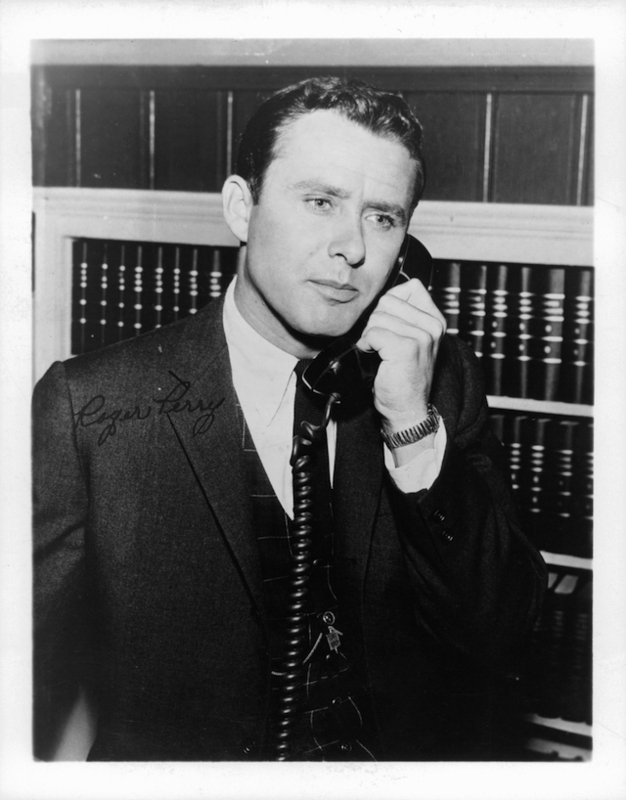 Actor Roger Perry, best known for his TV roles on popular midcentury shows like The Munsters and Stark Trek, died in late July at age 85, according to The Hollywood Reporter. 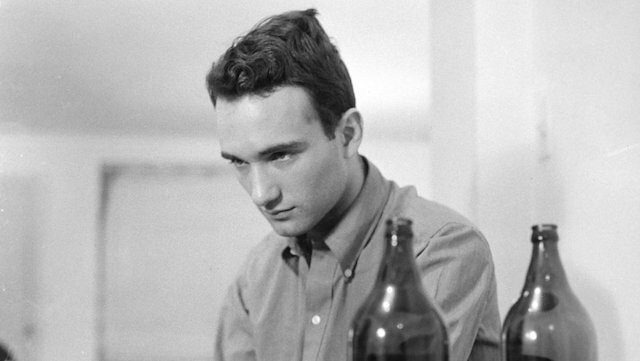 In late July, The Hollywood Reporter broke the news that actor Anthony Ray, son of famous director Nicholas Ray and who appeared in films like Rebel Without a Cause, had died at age 80. 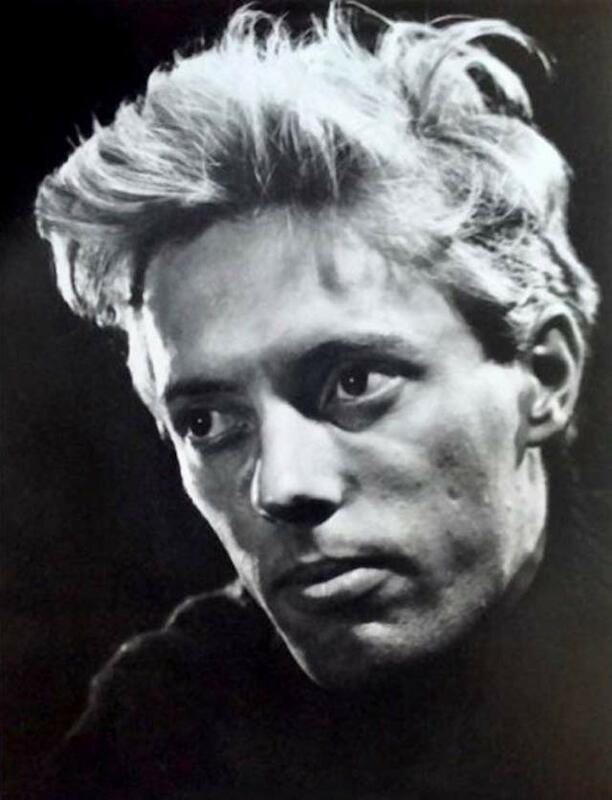 The Hollywood Reporter announced on July 20 that fight choreographer and actor William Hobbs, who worked on films like The Avengers, The Count of Monte Cristo and Willow, had died at age 79. Image: Herbert Dorfman/Corbis via Getty Images. 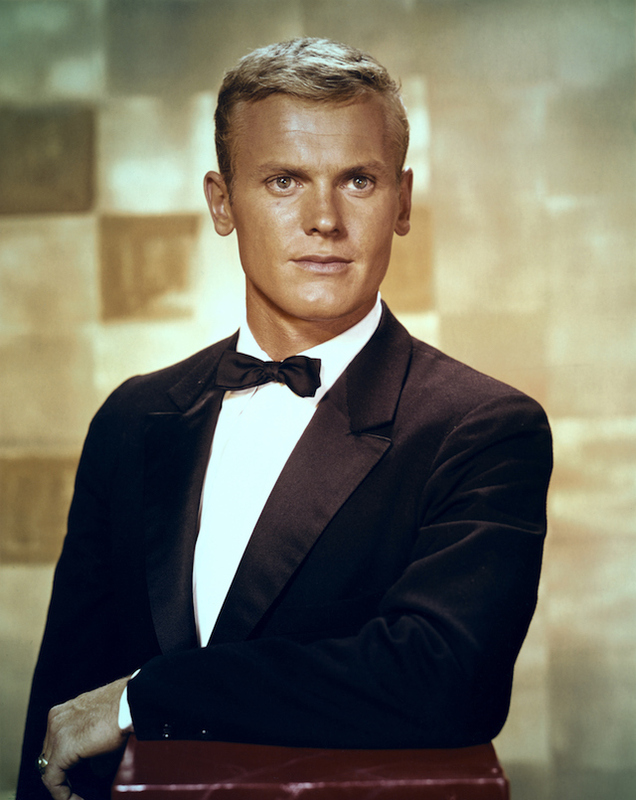 The death of 1950s teen heartthrob turned queer icon Tab Hunter was confirmed on July 9 by outlets including The Hollywood Reporter. Hunter, known for roles in films like Damn Yankees, Battle Cry and The Girl He Left Behind, reportedly died of a blood clot that led to a heart attack. 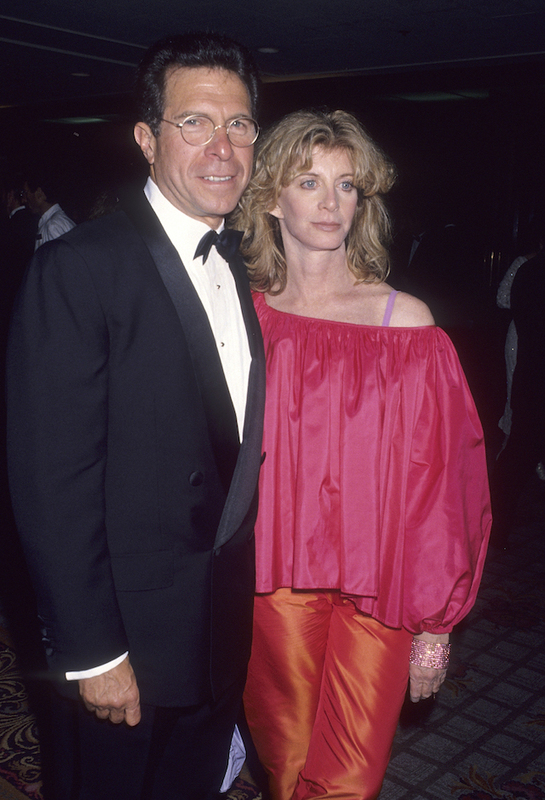 This was confirmed by Hunter’s life partner of more than three decades, Allan Glaser. 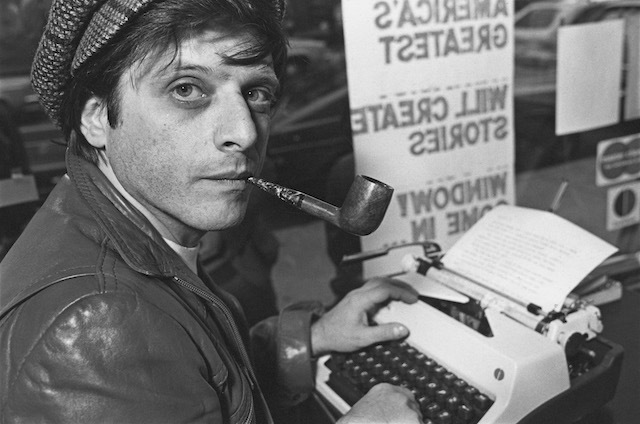 Variety confirmed in June that prominent sci-fi writer Harlan Ellison had died at age 84. Ellison was best known for his writing on TV series like The Outer Limits, Star Trek and Babylon 5 as well as short stories and novellas. On July 3, E! 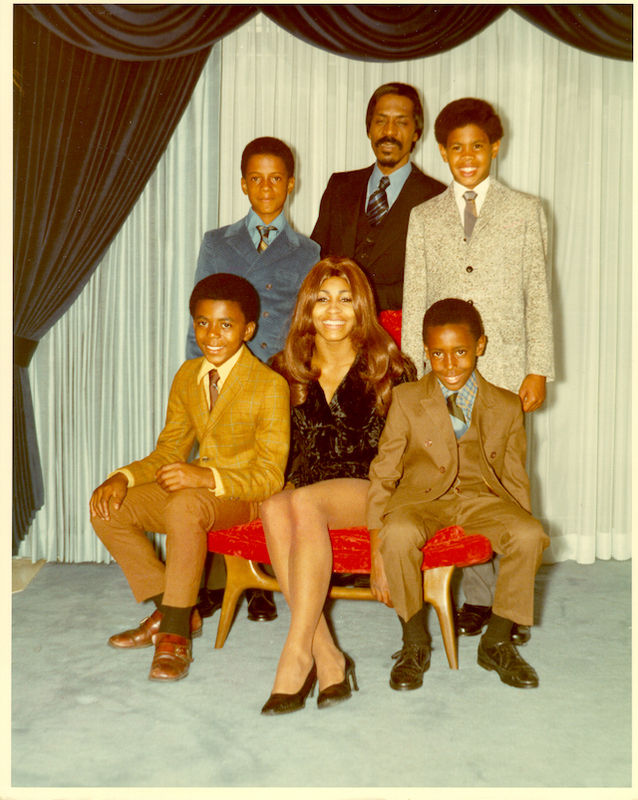 News reported that Tina Turner’s son, Craig Turner (pictured standing at Ike Turner Sr.’s left), died by suicide at his home in Los Angeles. Tina did not release a comment on her son’s death but will reportedly discuss it in an upcoming documentary. 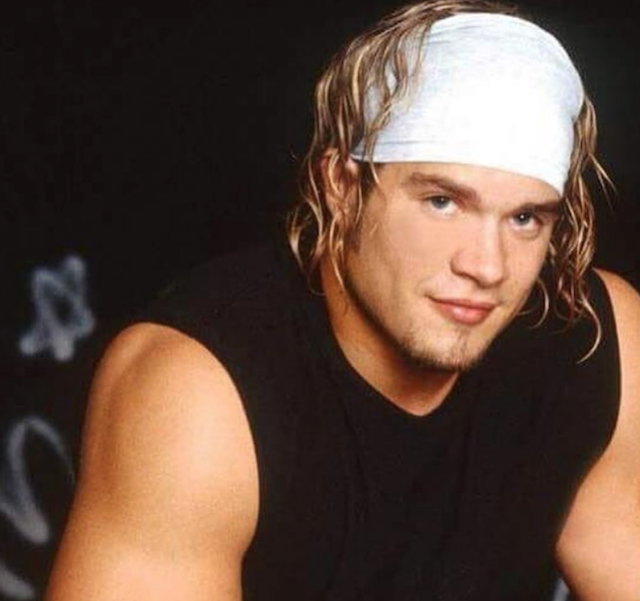 Deadline reported that former WWE Tough Enough wrestler Matt Cappotelli died in late June, a year after he was diagnosed with cancer. Cappotelli was 38. Actor Deanna Lund, who was famous for her roles in the ’60s and ’70s, including roles on TV shows like Batman and Land of the Giants, died on June 22 at age 81. 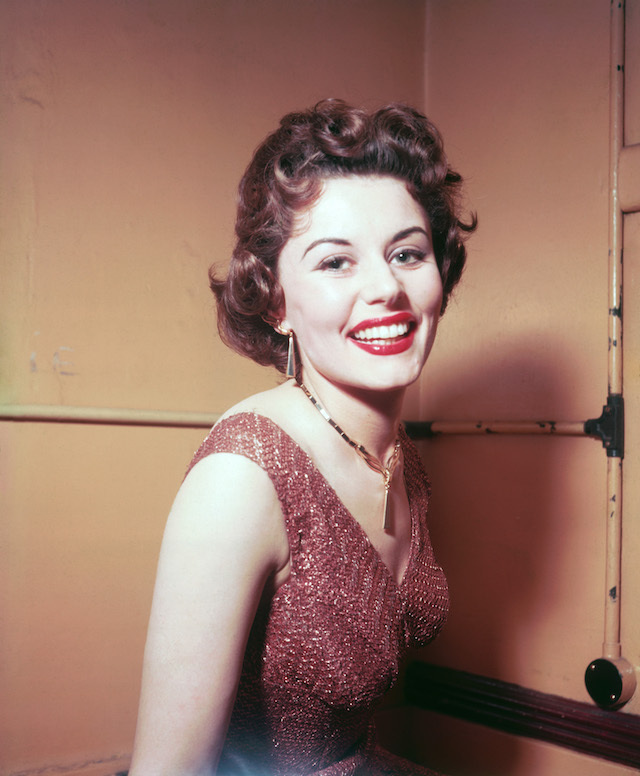 According to The Hollywood Reporter, she died of pancreatic cancer at her home in Century City, California. E! 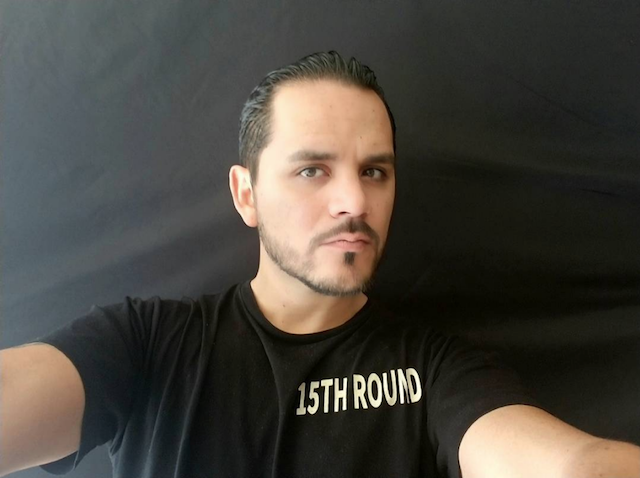 News reported in late June that Operation Repo star Carlos Lopez Jr. had died by suicide. The 35-year-old TV star and Army veteran was reportedly found dead in his apartment. In addition to his work on Operation Repo, Lopez had appeared in films like Captain America: The Winter Soldier and Teenage Mutant Ninja Turtles. Image: Robin L Marshall/Getty Images. 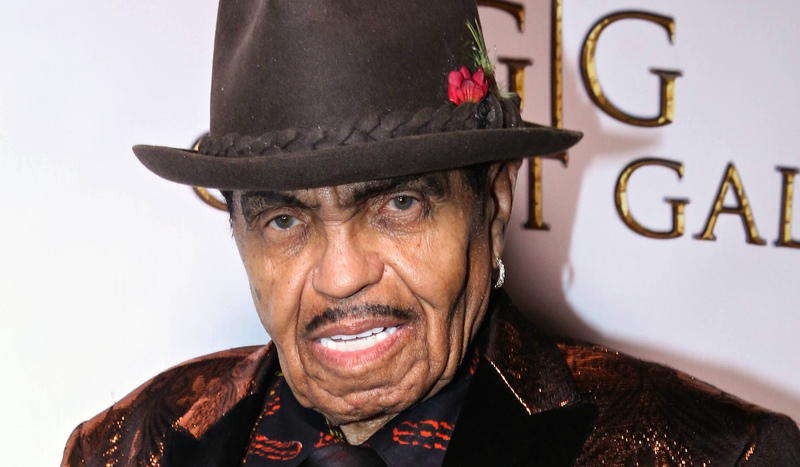 Music manager and Jackson family patriarch Joe Jackson, 89, died of cancer on June 27. TMZ first broke the news. On June 25, E! 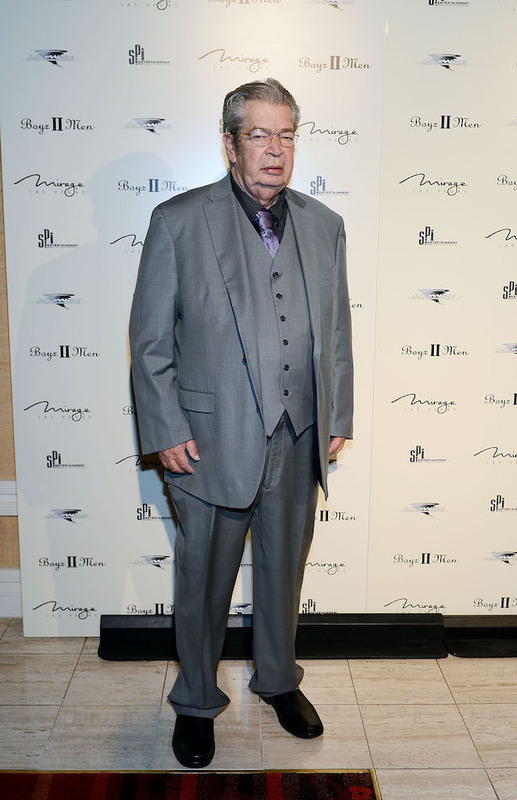 News reported that former Pawn Stars series star Richard "The Old Man" Harrison had died at age 77. Gold & Silver Pawn Shop, where Harrison worked, confirmed his death in a Facebook post. "The team at Gold & Silver Pawn and the Pawn Stars family is grieving his loss," part of the posting said. "He will be remembered as the best father, grandfather and great-grandfather you could have by his family and by fans as the sometimes grumpy (always loving, however), often wisecracking, and voice of absolute reason on the History television show Pawn Stars." Image: Ray Lustig/The Washington Post via Getty Images. 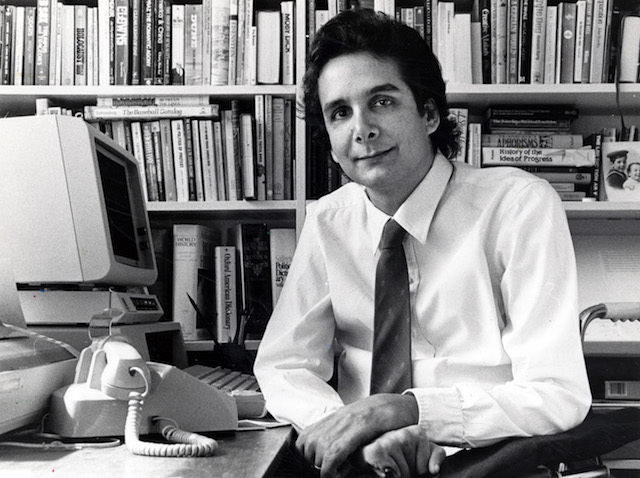 Longtime Washington Post columnist and frequent Fox News pundit Charles Krauthammer died at age 68 on June 21, according to The Hollywood Reporter. 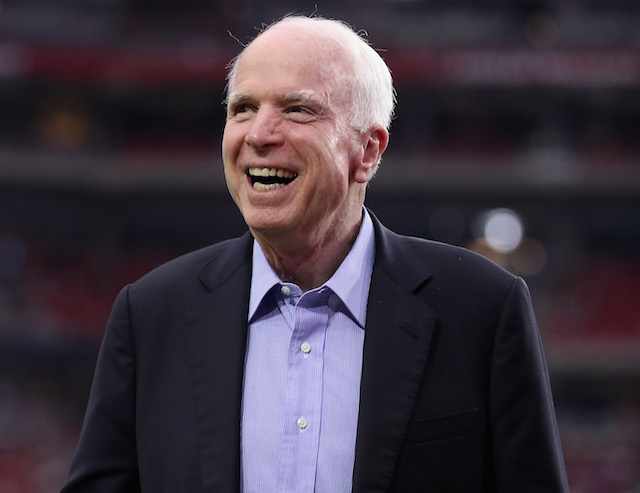 The Pulitzer Prize winner revealed on June 8 that, after the removal of a tumor on his abdomen, his cancer had returned and he had only weeks to live. Image: Dominic Lipinski/PA Images via Getty Images. On June 18, former WWE wrestler Leon White, who wrestled under the stage name Vader, died at age 63. E! 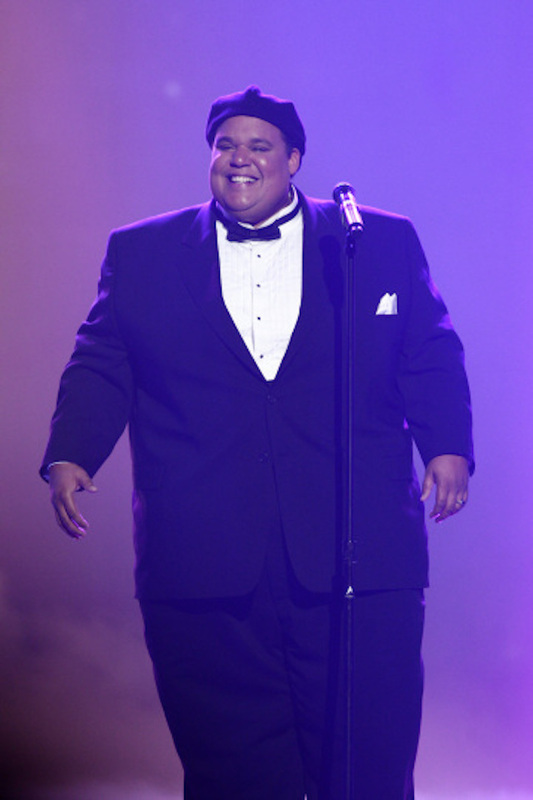 News reported that on June 10, America’s Got Talent Season 3 winner Neal Boyd had died at age 42. Boyd was reportedly dealing with the effects of “heart failure, kidney failure, and… liver disease” shortly before his death. On June 26, TMZ reported that Boyd’s mother had found him in his room. Believing Boyd to simply be unconscious, she called 911. Responders attempted to perform CPR to revive him, but to no avail. The cause of Boyd’s death was later confirmed to be heart failure. 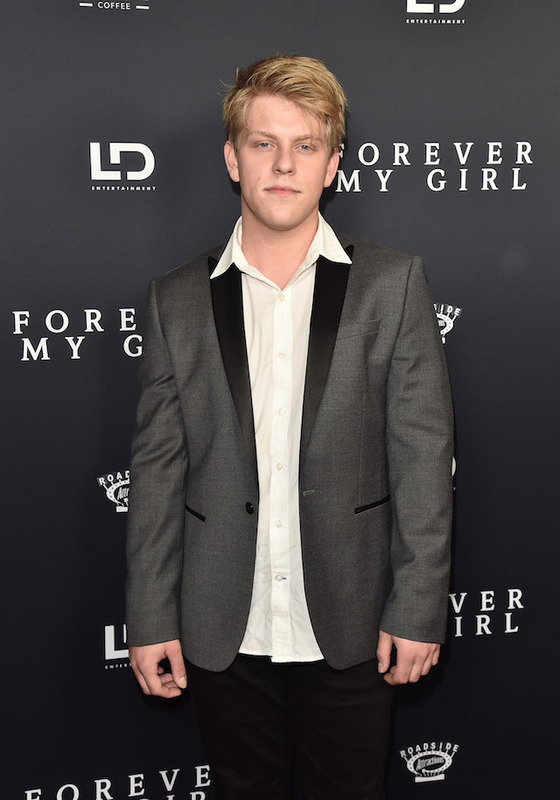 Actor Jackson Odell was reported dead on June 10 by Deadline. Odell, 20, was a resident at a sober living home at the time and had been found unresponsive, with no reported signs of foul play. Odell had risen to fame as an actor on shows like The Goldbergs and iCarly. CNN confirmed the death of Anthony Bourdain, 61, on early Friday morning, June 8. 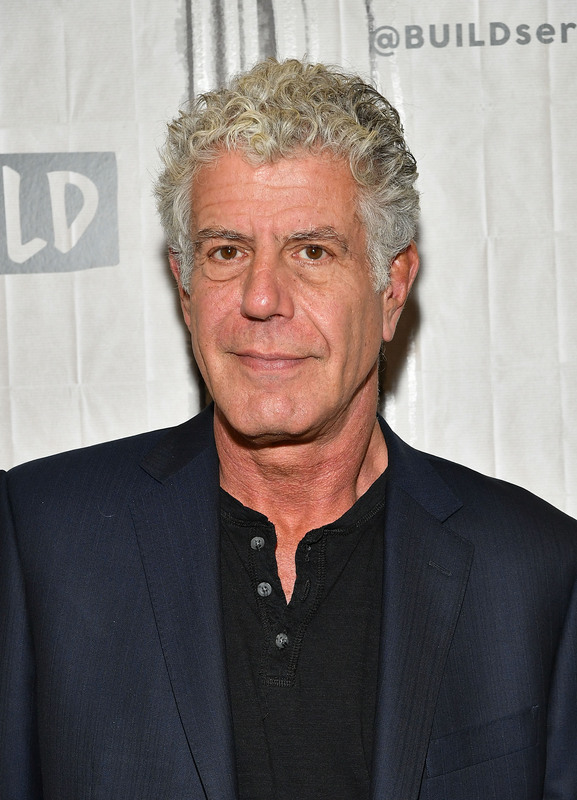 Bourdain was found unresponsive in a hotel room in France after his death by suicide. He leaves behind his 11-year-old daughter, Ariane. 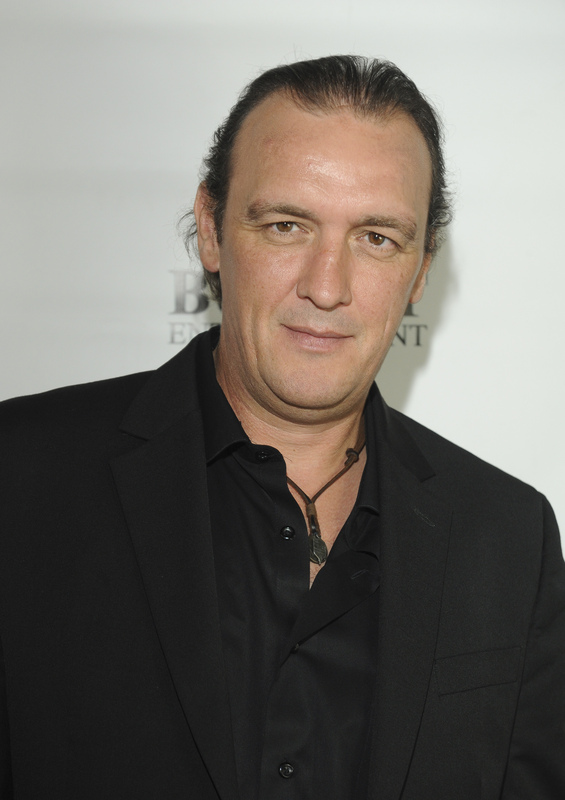 Sons of Anarchy actor Alan O’Neill died on June 7 at age 47. While no foul play is suspected, the cause of his death has yet to be announced. 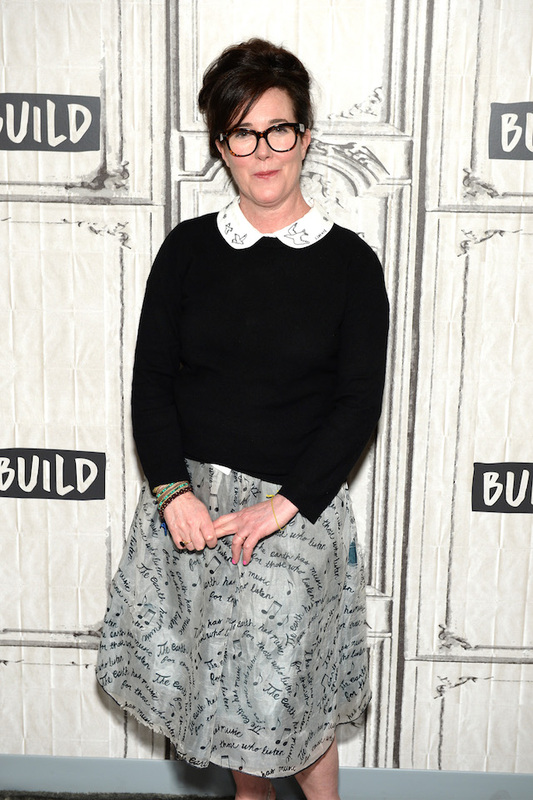 On June 5, it was announced that legendary fashion designer Kate Spade had died at age 55. According to The Hollywood Reporter, Spade was found dead in her New York City apartment. It is believed she may have died by suicide. Note: If you’re considering suicide or fear you may become suicidal, please call the National Suicide Prevention Lifeline 24/7 at 1.800.273.TALK (8255). If you’re worried about someone you love, visit SuicidePreventionLifeline.org. 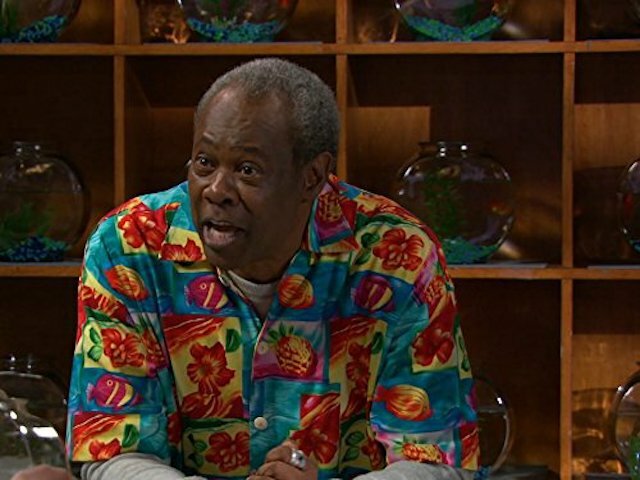 Variety reported on June 4 that actor Hugh Dane had died at age 75. Dane was perhaps most recognizable as Hank the security guard from beloved mockumentary TV show The Office, but he also racked up credits in film and TV shows like Girl Meets World, Bridesmaids and Little Fockers). 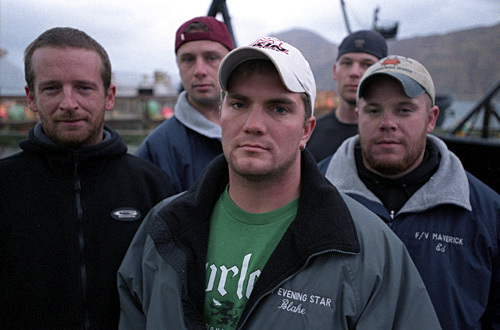 The Clatsop County Sheriff’s office confirmed the death of former Deadliest Catch captain Blake Painter, 38, to People. The reality star, who appeared on the show in 2006 and 2007, was found in his Oregon home on May 25. Foul play is not suspected, but police are testing substances that were found at the scene of his death. 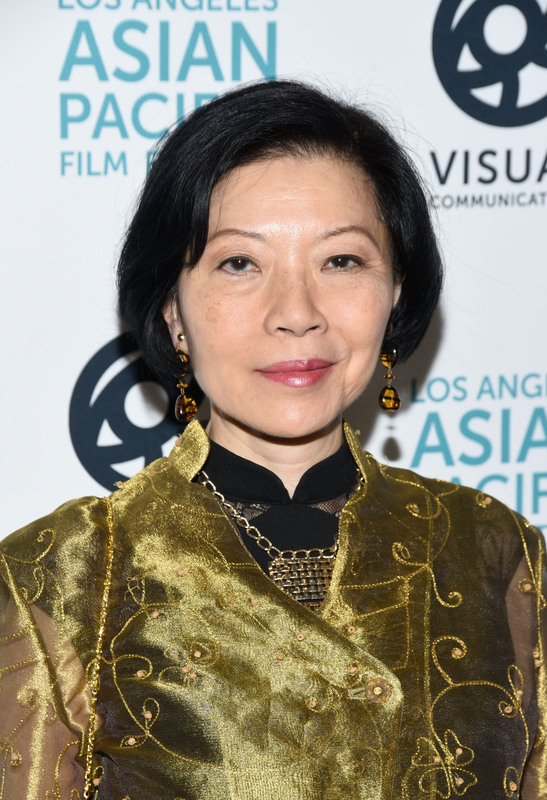 Elizabeth Sung, best known for her role as Luan Violen Abbott on The Young and Restless, died on May 22 at the age of 63. Sung also appeared on Hawaii Five-0, The Sopranos, Bones, Curb Your Enthusiasm and more throughout her career. Image: Silver Screen Collection/Getty Images. 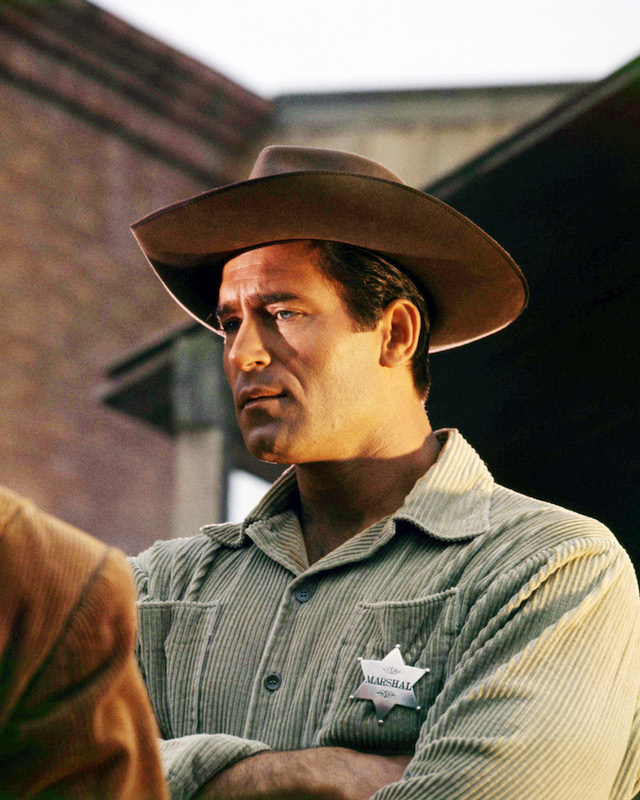 Actor Clint Walker, perhaps best known to older generations for his roles in the 1960s and 1970s, including The Dirty Dozen, Cheyenne and The Great Bank Robbery, died on May 22 at age 90 from sudden but unconfirmed causes, according to TMZ. Image: Ulf ANDERSEN/Gamma-Rapho via Getty Images. 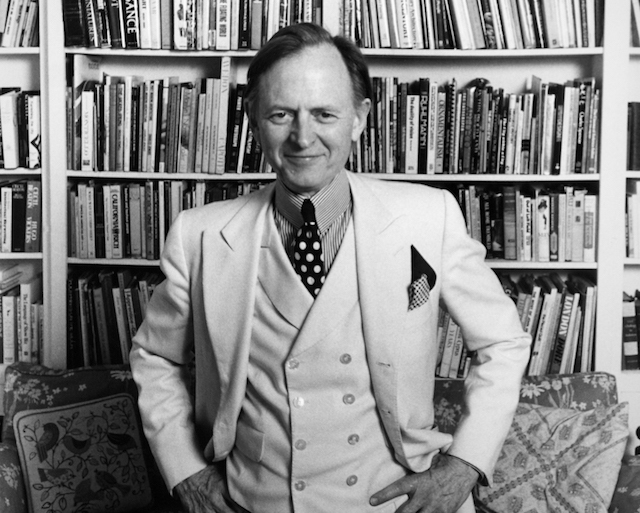 The New York Times broke the news on May 15 that famed novelist Tom Wolfe, perhaps best known for boundary-breaking novels Bonfire of the Vanities and The Electric Kool-Aid Acid Test, died at age 87 after he was hospitalized with an infection. 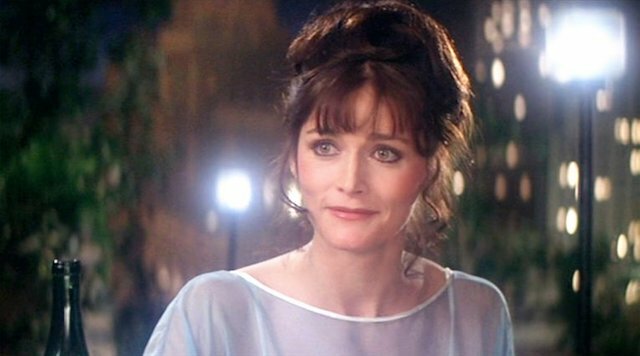 Deadline reported on May 14 that Margot Kidder died at age 69. Kidder starred in 1979’s The Amityville Horror and originated the role of Lois Lane in the Warner Bros. Superman film franchise that made Christopher Reeve a household name in the late ’70s and early ’80s. No cause of death was announced. Image: Ron Galella, Ltd./WireImage/Getty Images. Legendary Hollywood producer Paul Junger Witt, who was responsible for bringing projects like Golden Girls and The Dead Poets Society to screens, died in April at age 77, according to Deadline. 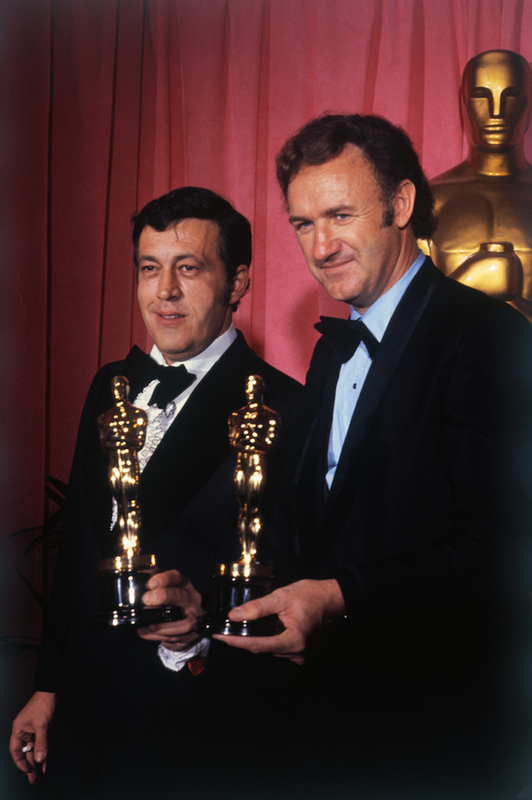 Legendary Hollywood producer Philip d’Antoni (pictured left, with Gene Hackman in 1972), best known for his role in bringing The French Connection to life, died in April at age 89. Swedish DJ Avicii, born Tim Bergling, died unexpectedly at age 28 on April 20 in Oman. He had retired from music in 2016, citing various health-related concerns. 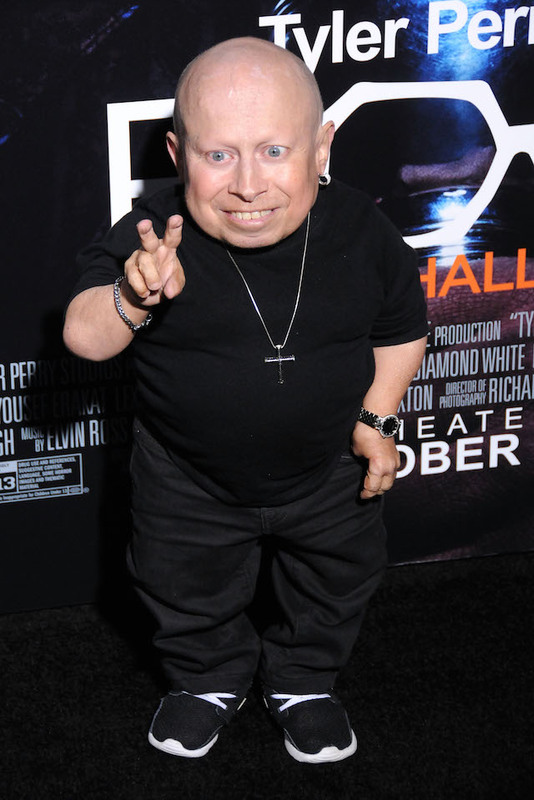 Actor Verne Troyer, best known for his performance as Mini-Me in the Austin Powers films, died at age 49 in late April. Image: Stephen Lovekin/WireImage for History Channel. 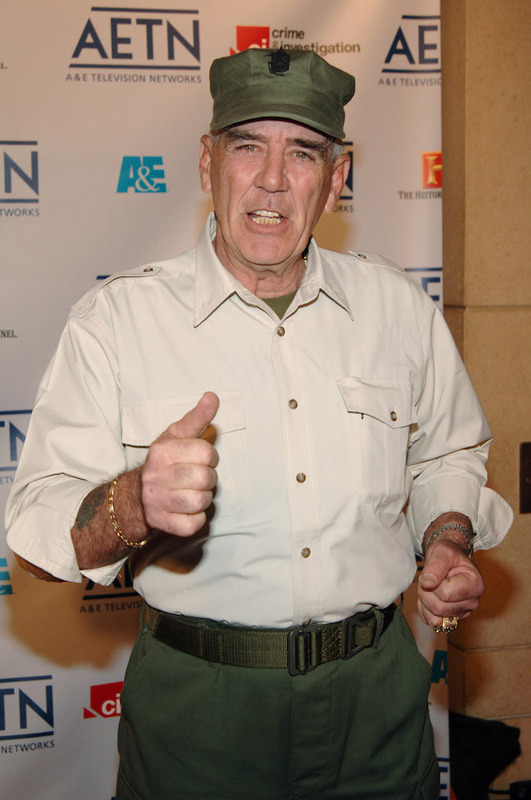 Actor R. Lee Ermey, most recognizable to fans as one of the central characters in the original Mississippi Burning and Full Metal Jacket, died at age 74 of complications from pneumonia, The Hollywood Reporter stated. On April 16, The Hollywood Reporter broke the news that TV actor Harry Anderson, perhaps best known as Judge Harry T. Stone on the late ’80s comedy Night Court, had died unexpectedly at age 65. 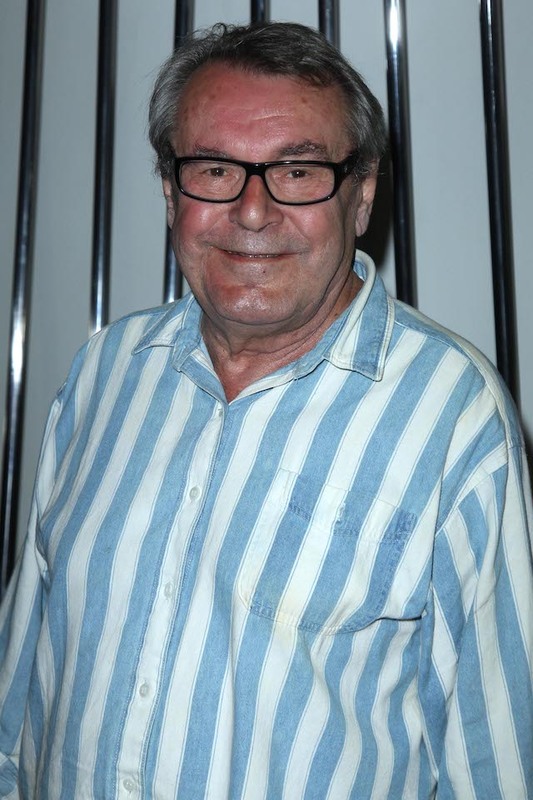 Beloved director Milos Forman, known for directing hits like Amadeus and One Flew Over the Cuckoo’s Nest, died at age 86 over the weekend of April 14, Deadline reported. Veteran voiceover artist and comedian Chuck McCann, whose credits include Knott’s Landing, The Powerpuff Girls, DuckTales and Boston Legal, died on April 8 at age 83. 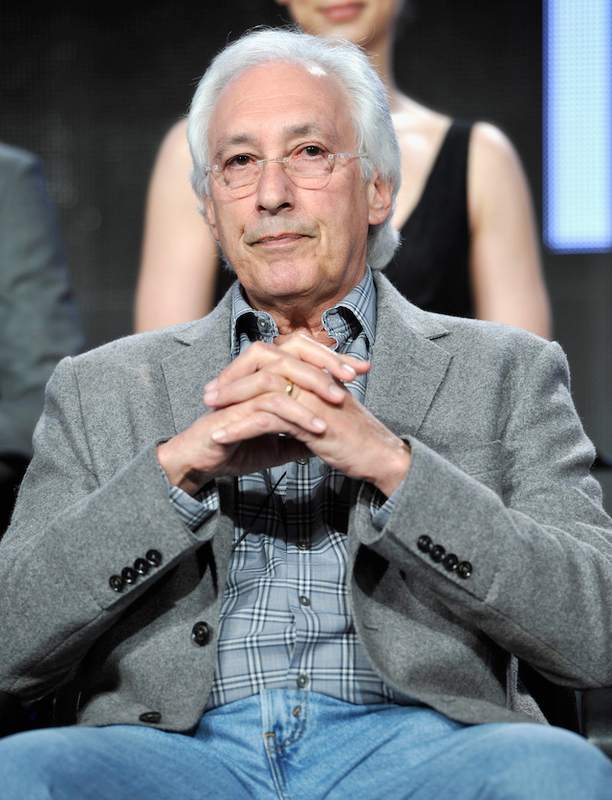 Steven Bochco, an iconic TV producer and writer who created memorable shows like Hill Street Blues, L.A. Law and NYPD Blue, died in April at age 74.